The wider school community is very proud and highly appreciative of our young international students for their dedication and the contributions they make to our society. Northcote High School has built a rich tradition of academic excellence, innovative teaching and learning, quality facilities and caring student support. We are proud of our students’ accomplishments and achievements over the last 90 years. For a list of our notable past students, see Alumni. To carry on our school’s proud tradition, our young international students continue to work hard and strive to be their best to create a new chapter in their life journey after high school. 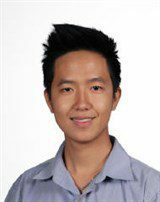 Giang is a highly motivated academic student and he worked hard through his VCE years. 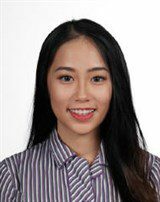 Giang is currently studying at RMIT University, majoring in Marketing. Like many successful Northcote High School ex-students, Giang is now employed as a part-time tutor at the school to support current students. Bao Yen is a highly motivated student who actively participated in school activities and contributed to the school community. Bao Yen was elected vice school captain and her student leadership achievement inspired many other students. She is currently studying Biomedical Science at Monash University. We are a truly international school. Our program offers excellent opportunities for students.